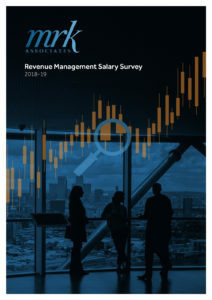 Since 2010, the role of Revenue Managers and their departments has grown astronomically. MRK Associates, we discuss roles and positions with Directors of Revenue and General Managers every day. As each day passes, their needs do not diminish in the precision of the skills that are required to fill the role. happens in this field, MRK Associates will continue to help, guide and assist you. to us to provide them with appropriate revenue management staff. recent growth across numerous industry sectors, but none more so than in the hotel sector. In this piece of insight, you’ll read how candidates and hotels are increasing their demands on MRK as we can be relied upon to assist.